Chef d'orchestre, chanteur et guitariste US né le 26 Octobre 1936 à Long Beach (Californie). Installé en Arizona dès 1938 et leader des "Arizona Hayriders", Al Casey fut découvert par Lee Hazlewood. Il accompagna plusieurs chanteurs de la région de Phenix, dont Jimmy Spellman, Jimmy Johnson et surtout Sanford Clark à partir de 1955, contribuant à son succès. Musicien complet, il tiendra également le guitare et le piano aux cotés de Duane Eddy. 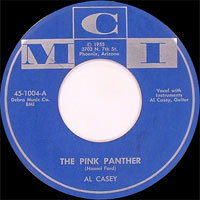 Premier disque solo en 1956 chez MCI Records. En tant que Vocalsiste, il enregistra quelques titres chez MCI (56), DOT (56-57), Liberty (57-59), United Artists (59), Highland (59), Blue Horizon (60? 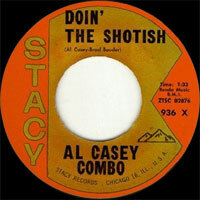 ), et Stacy Records (62-64). Il fut un artiste régulier à l'Arizona Hayride de Phoenix (Arizona) en 1956. 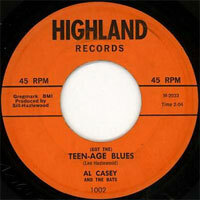 Al Casey est décédé le 17 Septembre 2006. 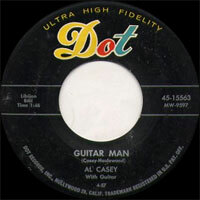 Longtime session guitarist Al Casey is most noted for the records he made with producer Lee Hazlewood, with artists like Duane Eddy and Sanford Clark. He also has made numerous records on his own, reaching his commercial peak in the early 1960s, when a few of his instrumental (or mostly instrumental) surf and R&B-rock singles made the Top Hundred. 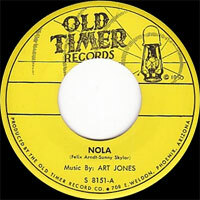 In the 1960s and 1970s he worked often as a session player in Los Angeles, and was still putting out records under his own name in the 1990s. 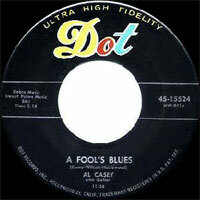 Casey was still in his teens when he started working with Hazlewood in Phoenix, introducing Lee to Sanford Clark, whose hit "The Fool" was produced by Hazlewood. 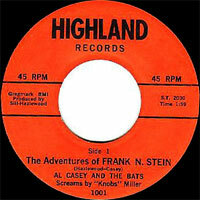 Casey's band backed Clark on the singer's records, as well as other discs cut by Hazlewood. Casey was in Eddy's band, the Rebels, in which he played the piano, although he's more known for his guitar playing. 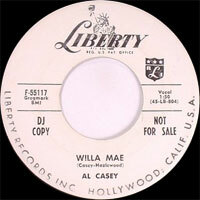 Casey also wrote one of Eddy's earliest hits, "Ramrod," as well as cowriting another Eddy hit, "Forty Miles of Bad Road," with Duane. 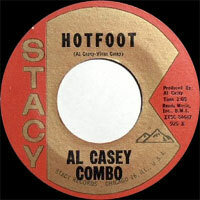 In the early 1960s Casey was dividing his time between sessions in L.A. and Phoenix, and working with his own group, the Al Casey Combo. Somewhat surprisingly, considering his twangy background with Eddy and the surf recordings in his near future, his first successes were with bluesy instrumental rock singles with a jazzy organ groove (played by Casey himself). "Cookin'" made #92 on the pop chart, while a similar follow-up, "Jivin' Around," did a little better, getting to #71 pop and #22 in the R&B listings. In 1963, however, he and Hazlewood rode the surf craze and cut an entire surf LP, much of which featured Hazlewood compositions, and all of which had respectably tough reverberant guitar by Casey. 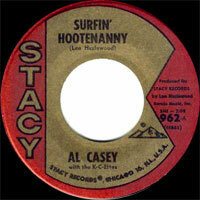 A single from the album, "Surfin' Hootenanny" (with almost incidental female Vocalss by the K-C-Ettes, aka the Blossoms), became Casey's biggest hit, making #48; top L.A. session dudes Leon Russell (organ) and Hal Blaine (drums) were present on many or all of the tracks. 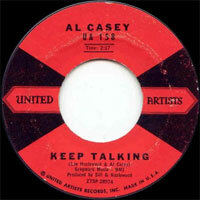 Casey's solo career petered out when the small independent label he recorded for, Stacy, closed shop around the beginning of 1964. Casey found a lot of work, though, as a session man, on recordings by artists including the Beach Boys, Eddy Arnold, and Frank Sinatra. He also ran a music store in Hollywood in the late 1960s, and played as a member of the band on Dean Martin's television show. In the mid-'90s he made a solo recording for Bear Family, Sidewinder. 1957 SP WESTERN JUBILEE 727 (US) . Waltz Mignon / ? 11/1995 CD ACE CDCHD 612 (UK) JIVIN' AROUND - ORIGINAL STACY RECORDINGS - Surfin' Hootenanny / El Aguila / Thunder Beach / Baja / Surfin' Blues Part 1 / Lonely Surfer / Guitars, Guitars, Guitars / The Hearse / Ramrod / Caravan / Surfin' BluesPart 2 / Surfs You Right / Cookin' / Hotfoot / Indian Love Call / Jivin' Around / Doin' The Shotish / Doin' It / The Hucklebuck / Full House / Laughin' / Monte Carlo / Theme From Huckleberry Hound / Chicken Feathers / Easy Pickin' / What Are We Gonna Do In '64 ?